Metropark is one of my favorite stores and OBEY is a cool shirt crew. They collabo'd for a t-shirt design contest. Click this link to view the winner. 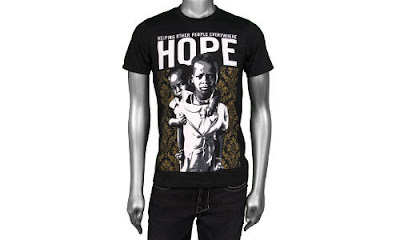 The pictured OBEY Hope tee can be purchased on Metropark online for $36. Also available in white.